I will join Jazzebelle next Friday in Hampton Virginia. 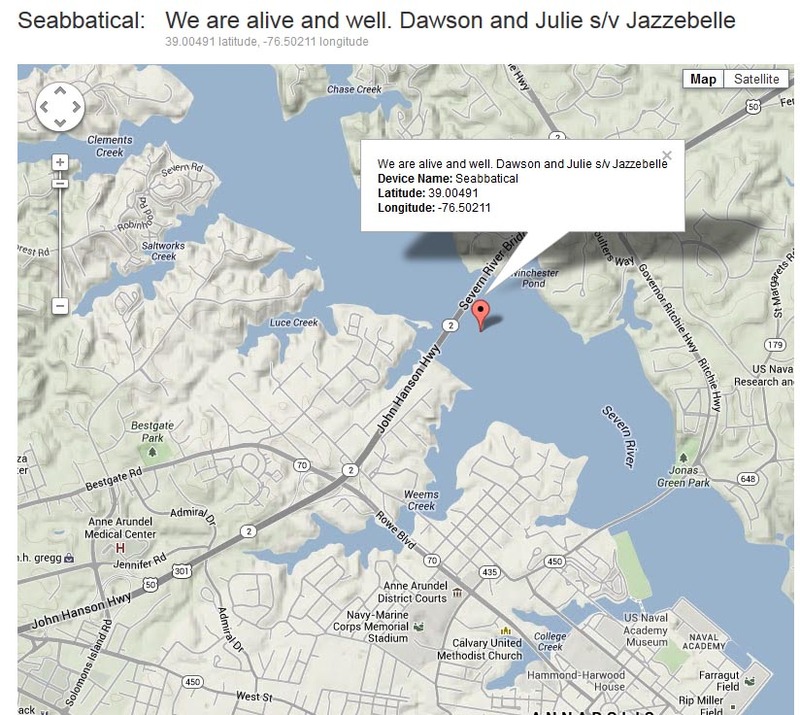 Dawson and Julie are cruising around the Chesapeake until they are scheduled to make Hampton later this week. We will travel south as one of the Salty Dawgs in the fall rally south. The scheduled departure from Hampton is November 4 which is a week from Monday. We will be at sea for a week to 10 days to be determined by weather.